What's Media Center without a remote? If you have Media Center on your laptop but haven't got a remote control, you may wish to add one. This ExpressCard/54 adapter does just that. It uses the port to charge the internal battery but it's also a tidy way to store the card away when not required. It may need the laptop for power, but you can leave it safely unplugged for over two weeks without recharging. 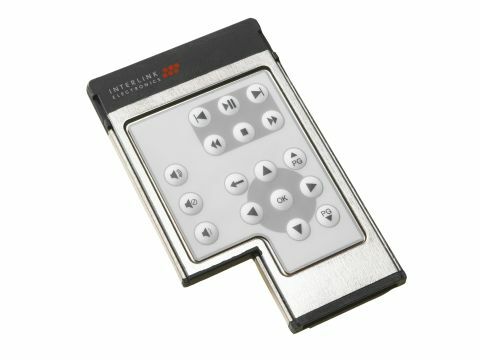 Unlike most remotes, which are infrared, this unit is Bluetooth, so as long as you have a laptop with Bluetooth, and an ExpressCard slot, this is a great solution. We found it easy to set up, pairing with our test machine easily enough. It works well with Media Center and even worked with iTunes, so is as versatile as it is small and handy to use.